Home>Chemicals > Sweep EXP 100% CA tire glue with metal nozzle. Sweep EXP 100% CA tire glue with metal nozzle. CAUTION! Use this or any of the hobby products at your own risk. 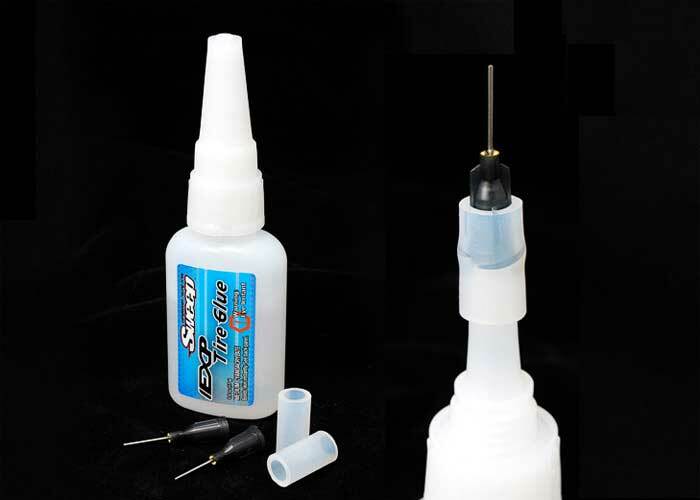 especially this version of Glue EXP tires glue included two stainless extension nozzle and silicon tubes, when its clogged, you may use a lighter to heat up the needle to open back up. USE EXTREME CAUTION WHEN YOUR DOING THIS. CAN CAUSED FIRE. CA glue is EXTREMELY FLAMMABLE.